lead role for applying the tool, and a specific individual or team will be responsible for actually entering information and generating results. However, because of the broad scope of the tool, it is likely that this team will need to interface with representatives from several functional areas, potentially including strategic planning, marketing, communications, human resources, operations, distribution, research and development, finance, and environmental, health and safety. The team will also need to define the organizational scope of SD Planner's application (e.g., wholly owned subsidiaries, partially owned subsidiaries, joint ventures, contractors, investments). 1. Screening - helps to identify the company context, key issues, and initial focus. This information helps the user customize the approach to the user's unique situation, particularly with regard to potential goals and actions. (a) Self-evaluation - to characterize the company's SD status (along the five stages of SD) for specified elements. Figure 4.3. SD planning process. (b) Goal-setting - establishment of goals for specified SD elements. 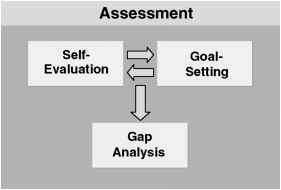 (c) Gap analysis - comparison of self-evaluation status against goals for specified SD elements, thus identifying gaps. 3. Action planning - identification of action plans to address the gaps identified above. Screening. The Screening window (Fig. 4.4) requests several items of information regarding characteristics of the user's company or business unit. 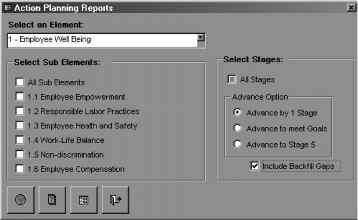 Issues that the user ranks as high in importance on this screen, such as "stakeholder scrutiny," are used later to suggest goals or action priorities. For most questions, the user simply selects a button from the choices provided. Self-Evaluation. The Self-Evaluation window (Fig. 4.5) is used to assess the current status of the user's company or business unit relative to the elements defined in SD PlannerTM. This information is used subsequently to determine whether the organization is meeting its stated goals and to recommend potential actions. In this window, the user can view any of the seven elements in the form of a matrix. The columns correspond to business practices in the five progressive stages of SD. The rows, or subelements, correspond to the different issues that are included in each element. 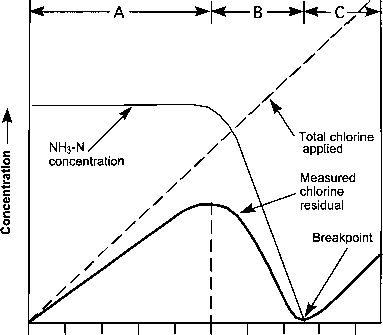 Figure 4.4. SD Planner Screening window. Figure 4.5. SD Planner TM Self-Evaluation window. • Further guidance regarding the interpretation of specific cells. • Actions that you can consider implementing to address specific cells. • Case studies of company experiences that exemplify the relevant practices. • Comments that you can edit and retain in order to annotate specific cells. Goal-Setting. The Goal-Setting window (Fig. 4.6) is used to establish specific performance goals relative to the elements defined in SD PlannerTM This information can subsequently be compared to the self-evaluation results in order to determine whether the organization is meeting its stated goals and recommend appropriate actions. Gap Analysis. The Gap Analysis function is the heart of SD Planner TM. It is used to compare goals against self-evaluation results. Whenever the organization's current practices fall short of the goals, a gap is said to exist. The tool allows the user to view gaps in several different ways, one of which (by Element) is depicted in Figure 4.7. Figure 4.6. SD Planner Goal-Setting window. Figure 4.7. 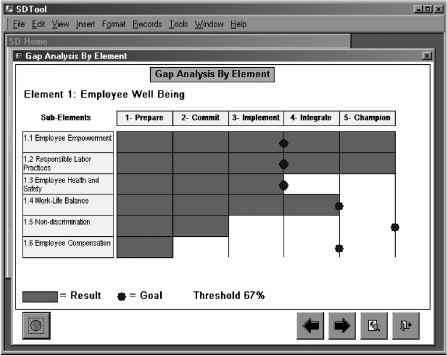 SD Planner TM Gap Analysis. Figure 4.8. SD Planner T Action Planning window. Action Planning. The Action Planning window (Fig. 4.8) enables the user to generate a customized list of proposed actions based on the identified gaps. It is expected that the user will take this list and use it to generate ideas for an action plan that is appropriate for the user's organization. After the user selects the elements of interest, SD PlannerTM can generate a set of proposed actions for every stage where a gap exists between goals and current practices. 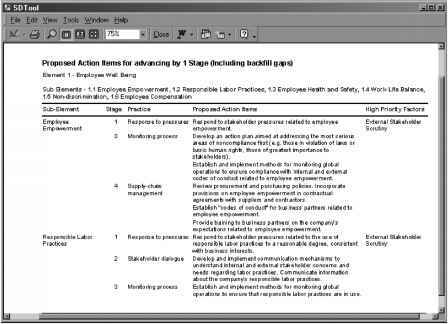 An example of an Action Planning report is illustrated in Figure 4.9. Companies have adapted SD PlannerTM to suit their unique situations. Some examples of how companies have used the tool include the following. 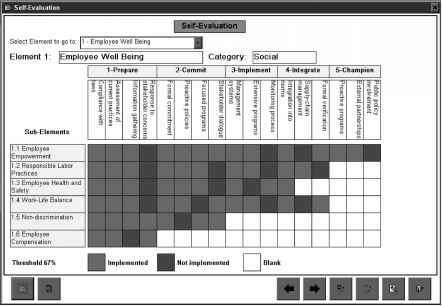 • One company formed a cross-functional team to use the tool to help evaluate corporate SD status. Some gaps were identified (e.g., supply chain management and some stakeholder communication topics) that helped to develop corresponding programs. In addition, one of the key benefits of the approach was that it enabled learning and productive discussion within the cross-functional team that enhanced everyone's understanding of the SD issue and its importance for the company. tool useful in creating SD Planner TM process at the corporate level, and some of the team discussions associated with using the tool revealed differences in performance and approach between business units. This led the team to delve further into the reasons for the differences and consider whether a consistent approach across the company was needed. • Another company used the tool to help senior management think more globally about SD, to identify gaps in its product lifecycle management process, and to help its public affairs function to deal more effectively with stakeholders. • Another company incorporated the tool into its training program for new environmental, health, and safety managers. Participants in the training use the tool to develop a comprehensive approach to addressing sustainable development for a hypothetical acquired business unit. • A company that was formed as the result of a merger between two large industry rivals used the tool to develop SD metrics for the newly merged company. • A business unit of another company used the tool to conduct a competitive assessment of the business unit versus its peers. Companies around the globe are just beginning their journeys toward sustainability. The GEMI approach embodied in the SD Planner TM tool was created to help companies address environmental, economic, and social issues in a way that creates business value. By considering the many possible pathways towards applying SD principles, companies can discover the pathway that best suits their unique characteristics and business conditions.